MLML currently has a number of industrial partners that are collaborating with MLML researchers, funding students, and using the facilities for hatchery, nursery, holding, and production purposes. 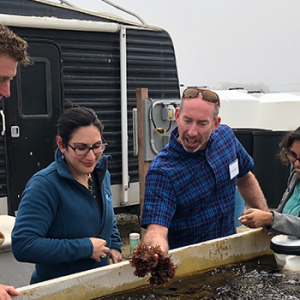 We want to expand those opportunities and to partner with a number of aquaculture industry entities as well as non-profits, governmental agencies, and others to further enhance sustainable and responsible aquaculture in California and elsewhere. These partnerships can take a number of forms. •	Partners can fund specific research projects that enhance aquaculture practices by, for instance, increasing efficiencies, decreasing environmental impacts, developing alternative seaweed-based feeds, testing new species in captivity, and understanding life cycles. 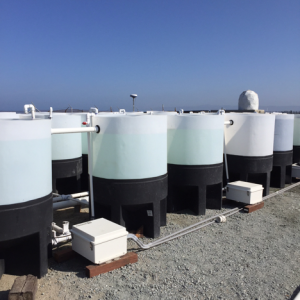 •	Partners can rent space at the Aquaculture Facility assuming they collaborate with MLML faculty, possibly hire MLML students, enhance the infrastructure, and provide additional expertise and opportunities. 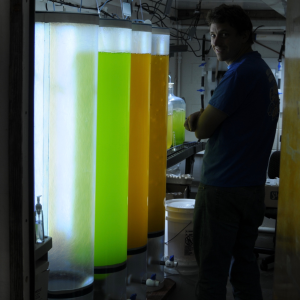 •	Partners can join forces with MLML researchers and students to seek external funding that would support specific projects to enhance sustainable aquaculture. •	Partners can provide expertise and funding for equipment and supplies that would further enhance the MLML Aquaculture Facility, students, and courses. • Partners can provide internship and employment opportunities for MLML undergraduate and graduate students. • Partners can provide training and hands-on experiences for students in MLML aquaculture classes. 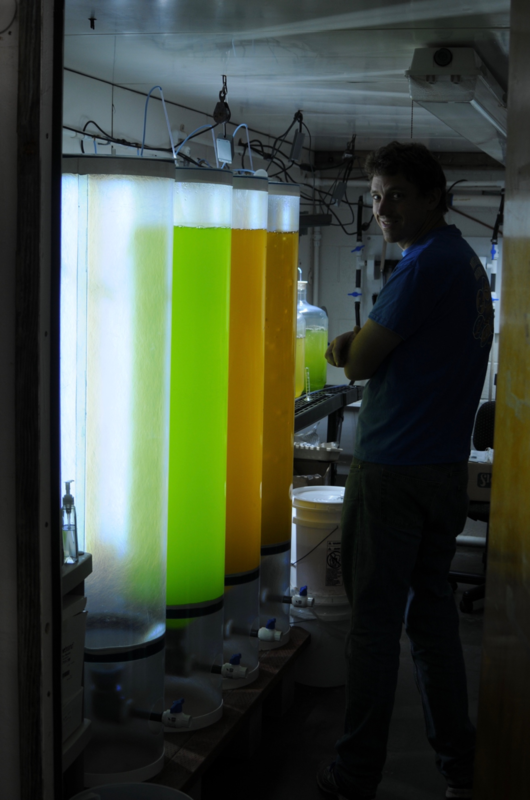 Luke Gardner in the microalgae culture room. 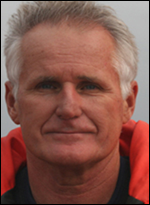 Dr. Jim Harvey (Director of MLML): Oversees the administration of the Aquaculture Facility, and assists with planning and construction of infrastructure. 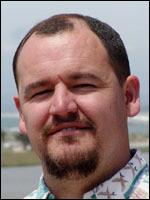 Dr. Luke Gardner (CA Sea Grant and MLML Research Faculty): Use of biotechnology to study reproduction, biomineralization, toxicology, and nutrition. Use of high-throughput sequencing and bio-informatics to develop biomarkers for valuable traits in cultured aquatic organisms. Development of alternative fish-free feeds. 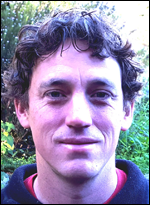 Dr. Scott Hamilton: Effects of ocean acidification and hypoxia on the behavior, physiology, and gene expression of juvenile rockfishes. New fish species that may be candidates for aquaculture production. 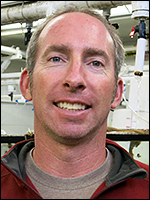 Dr. Mike Graham: Assessing how integrated multi-trophic aquaculture of seaweeds and shellfish might mitigate the negative effects of ocean acidification on shellfish growth. Use of various seaweeds to mitigate excess nutrients and reduction in methane production by cattle.